Sun-kissed and glowing: This sheer powder adds a translucent bronzed effect to the skin – for radiance that glows with vitality. The sunny formulation combines mineral pigments with nourishing botanical ingredients such as witch hazel and sage to soothe, protect and comfort skin. Dust the powder across the forehead, nose, chin and cheeks using circular movements, spreading from the centre outwards. Talc, Diatomaceous Earth (Solum Diatomeae), Silk (Serica) Powder, Kaolin, Anthyllis Vulneraria Extract, Magnesium Stearate, Simmondsia Chinensis (Jojoba) Seed Oil, Mica, Hamamelis Virginiana (Witch Hazel) Bark/Leaf Extract, Silica, Salvia Officinalis (Sage) Leaf Extract, Daucus Carota Sativa (Carrot) Root Extract, Camellia Sinensis Leaf Extract, Fragrance (Parfum)*, Limonene*, Linalool*, Citronellol*, Geraniol*, Coumarin*, Citral*, Benzyl Benzoate*, Farnesol*, Eugenol*, Benzyl Salicylate*, Tocopherol, Ascorbyl Dipalmitate, Iron Oxides (CI 77491, CI 77492, CI 77499), Titanium Dioxide (CI 77891). 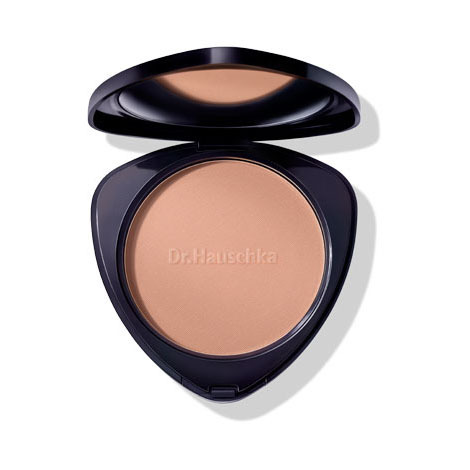 Love my Dr Haischka bronzer, love most of the products in fact. 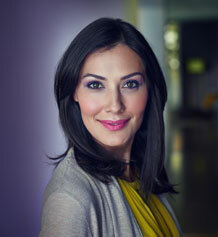 Work fantastically on my skin and I love the natural ingredients! Please never stop making this! Perfect Powder with no sparkle! This is about the only thing I wear - nearly every day. It's just subtle enough through the winter and perfect for the summer. I have fair to medium skin but with freckles so it appears more medium when they come out in the summer. I love that this has no sparkly bits - I've hunted high and low for natural bronzer without sparkles which is an absolute no for me. Will buy again and and again. An excellent bronzer, it looks natural and smells lovely! Lovely colour, good consistency, easy to apply, nice matte effect, can’t fault it! Really like this bronzer, it's a good colour for me, subtle glow without any sparkle, first time I've purchased a bronzer without sparkle but am really pleased and it suits my skin now I'm a little older. Light scent as you apply which is lovely too.